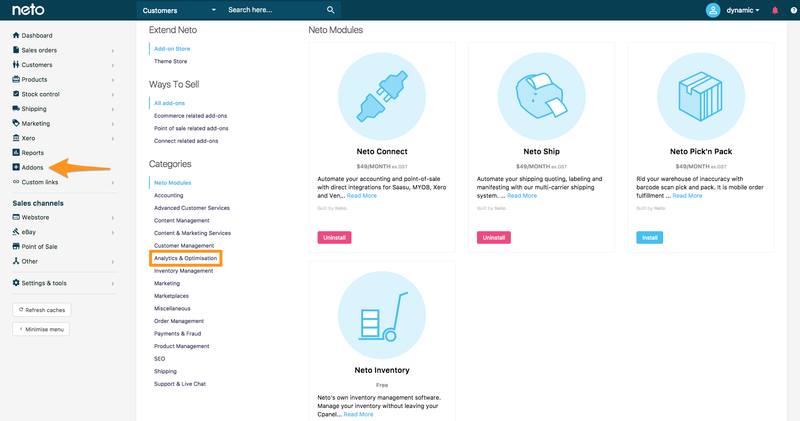 Google Analytics needs to be linked to your Neto E-commerce platform to track useful user activity such as transactions, page views, website calls, form submissions and any other data you may find relevant to your AdWords campaigns. 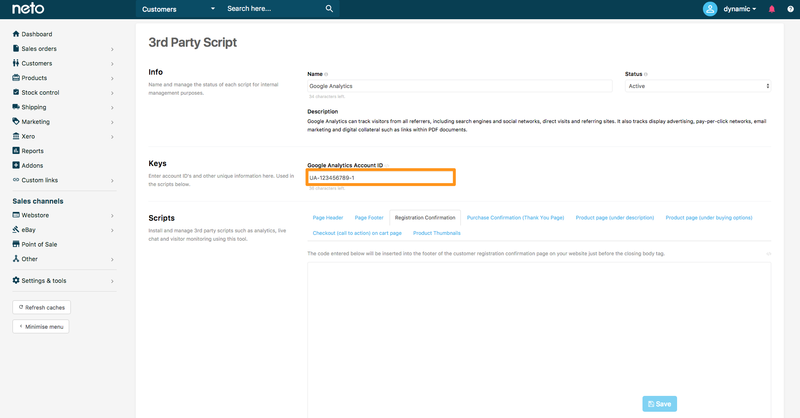 If you already have the Neto Google Analytics Plugin installed: Skip to step 2. 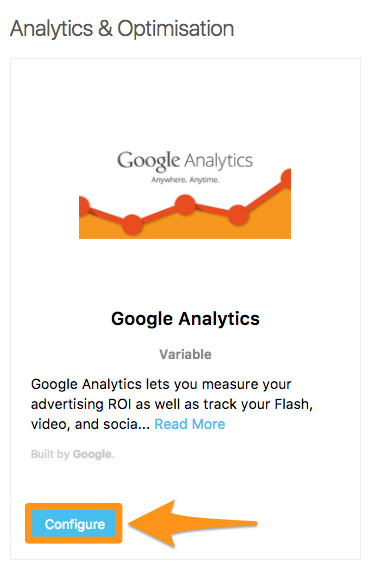 Locate and Install Google Analytics. Once installed click the Configure button and jump to step 3. 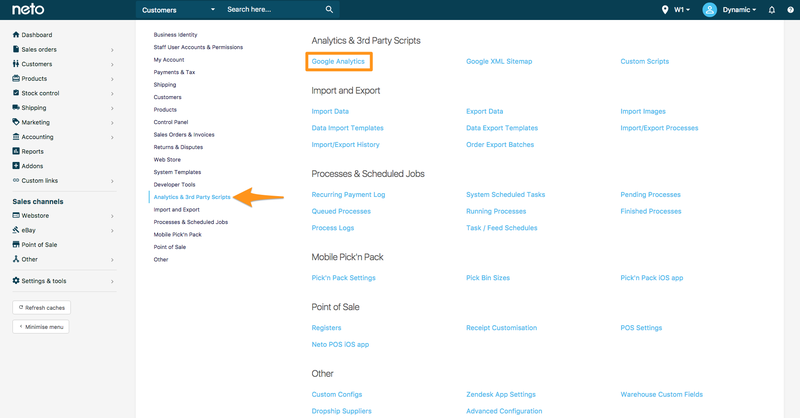 To retrieve your Google Analytics Tracking ID follow this guide: Retrieve Your Google Tracking ID and Global Site Tag. 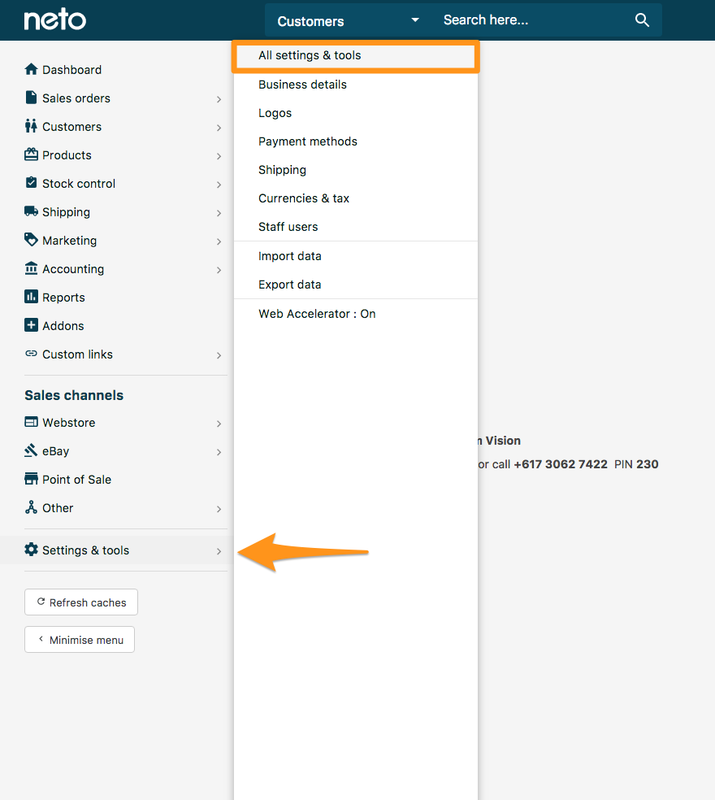 Copy and paste the ID into the Google Analytics Account ID field. Click save to finalise changes.